Almost new, beautiful ranch villa in super convenient Chesterfield location! Wide plank hardwood flooring flows throughout most of main level. 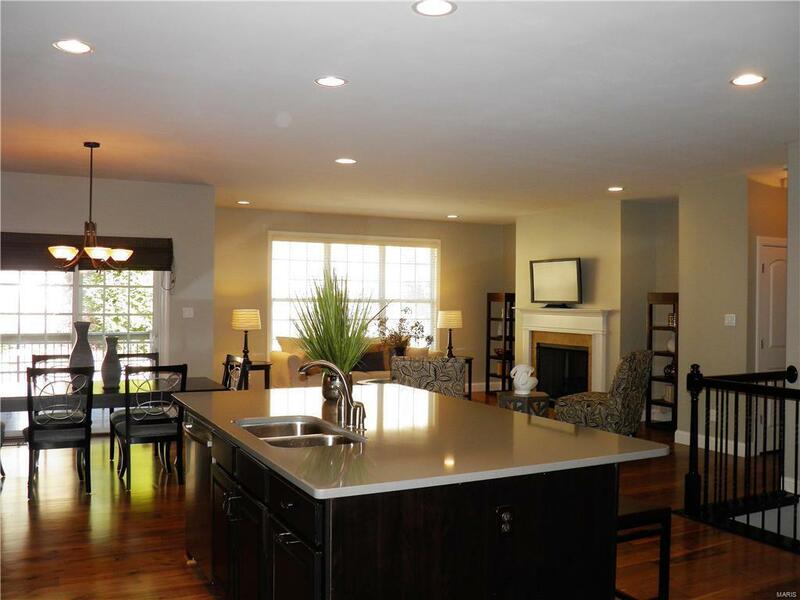 Open concept floor plan is perfect for entertaining & everyday life. 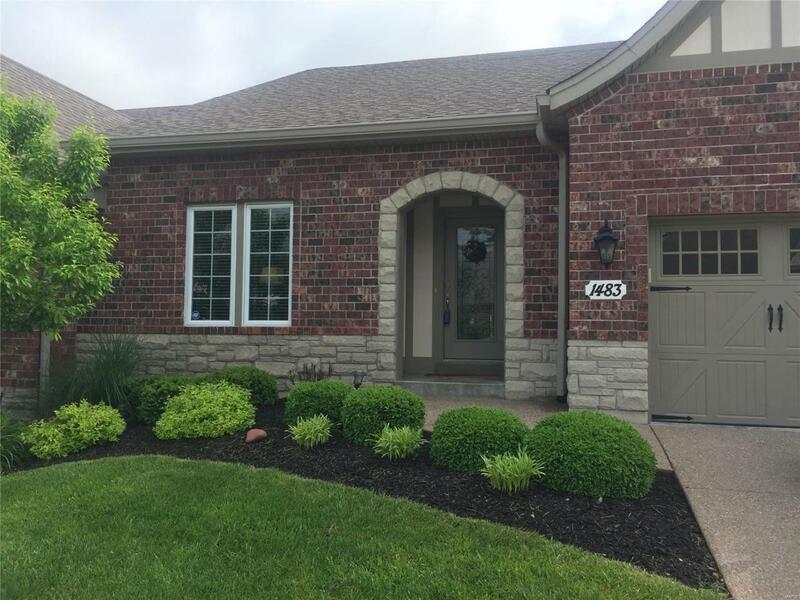 Great room w/gas fireplace adjoins dining area & kitchen that boasts 42" custom cabinets, large island (seats 6), quartz countertops, SS appliances, gas range, built-in microwave, new refrig, backsplash, walk in pantry. Butlers pantry accessible from kitchen & formal dining room/or home office. 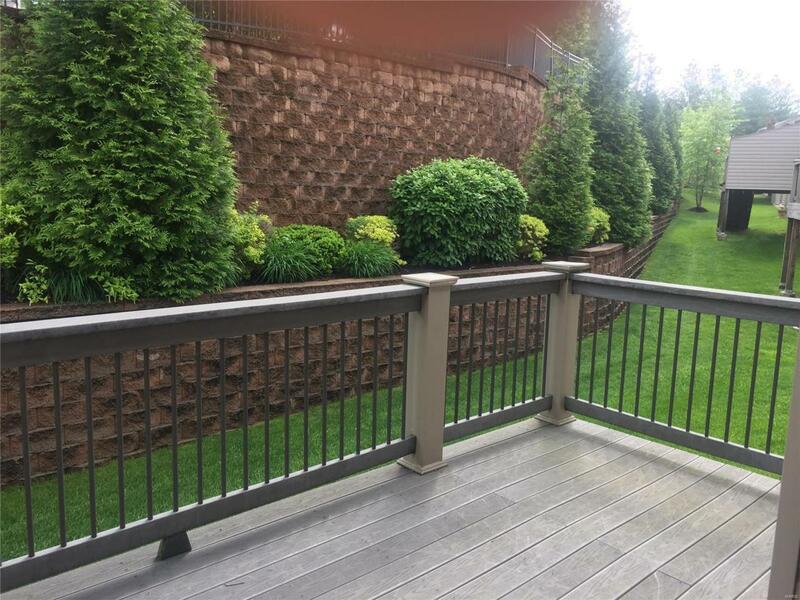 Enjoy private, covered trek deck for BBQ or coffee. Laundry room w/custom cabs, sink. Upgraded lighting, deep base boards. Owners suite has luxury bath w/soaking tub, separate shower, dbl vanity & professionally designed walk in closet. Powder room completes the main level. 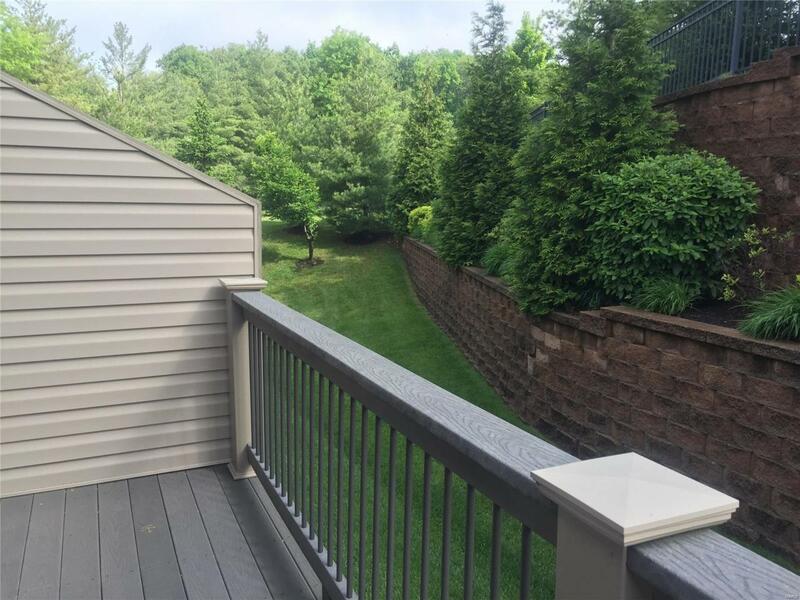 Open staircase leads to professionally finished LL featuring a family room with wet bar, spacious secondary bedroom, full bath, & large unfinished storage area. Oversized garage w/epoxy floor, etc!